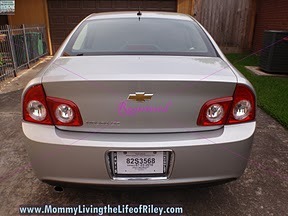 Farewell Trudy… Hello Tootie, My BRAND NEW Chevy Malibu! Let Me Introduce You to Her! 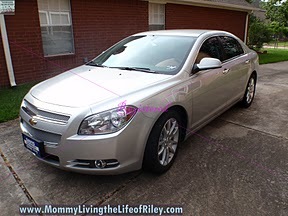 It is with a heavy heart that I have to say goodbye to Trudy, the taupe-colored Chevy Malibu that I was driving as part of the Gotta Love Chevy Moms Time Out program. It seems that there was something wrong with her transmission and she needed to be examined by the service professionals at Chevy. The good news is, that now I get to introduce you to Tootie (Two-tee, because she's the second), my BRAND NEW Silver Chevy Malibu and boy is she a beauty! Being that there was something wrong with Trudy, I got to experience firsthand, the service that the folks at Davis Chevrolet can provide and I was really impressed! Everyone was extremely nice and friendly and bent over backwards to make sure that Trudy was taken care of and that I was in a brand new Malibu LTZ within 45 minutes! Evan, my contact at Davis Chevrolet, even washed and gassed up Tootie and brought her to me himself! When I first started working with Chevy, Evan had told me that their service was second to none and that there was nothing they wouldn't do to make the customer happy. I have to admit that at first I thought, "Yeah right! That's what ALL salesmen will tell you". But, Davis Chevrolet made a believer out of me! They really do care about their customers and want them to be thrilled with every Chevy purchase! Now, let me formally introduce you to Tootie! Because she is an LTZ model just like my original car, Trudy, she has all of the same wonderful features I've already fallen in love with, such as the Bose sound system, OnStar and remote vehicle starter system. BUT, Tootie is so very SPORTY looking! 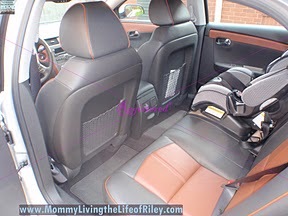 Check out her interior! This silver sedan might look unassuming on the outside, but on the inside, she's revving to go! 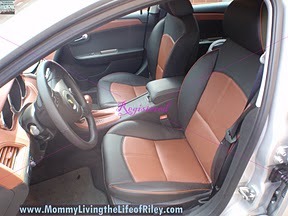 I love this red and black, all leather, two-tone interior! When I'm driving Tootie out on the open road, I now feel like Mario Andretti! I hate to say it, but although I really liked Trudy...I think I already like Tootie BETTER! So now that you've been formally introduced, stay tuned for more tales of the continuing saga of Melissa and Tootie! 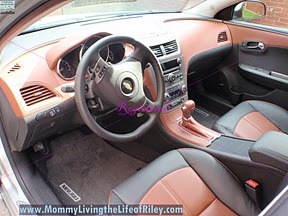 Also, don't forget to stop by Gotta Love Chevy Houston when you get a chance, to check out the other two Houston moms' adventures as well as enter to win some fabulous prizes! I'll have some VERY INTERESTING news for you soon about some exciting sweepstakes and promotions that Chevy will be hosting...you won't want to miss this! 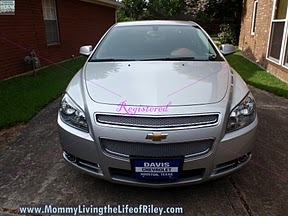 The Houston Area Gotta Love Chevy Moms Time Out campaign is being sponsored by the Houston Area Chevy Dealers who gave me a 2010 Chevy Malibu to test drive for one month in exchange for blogging about my experiences with this vehicle. I have also been assigned some fun missions to complete and have been compensated with gift cards so as to complete these missions. All opinions stated are my own, completely honest and objective. 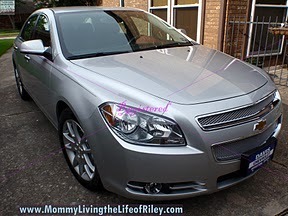 5 Responses to Farewell Trudy… Hello Tootie, My BRAND NEW Chevy Malibu! Let Me Introduce You to Her! Pingback: Tweets that mention Farewell Trudy… Hello Tootie, My BRAND NEW Chevy Malibu! Let Me Introduce You to Her! Ohhh she is a beauty! Thanks so much for stopping by and checking her out! I do really like driving her and giving her back in another few weeks is going to be HARD! I’m a big fan of your blog and have been following you for a while, so I’m so happy that you’ve stopped by my neck of the woods too! :) Have a wonderful day!